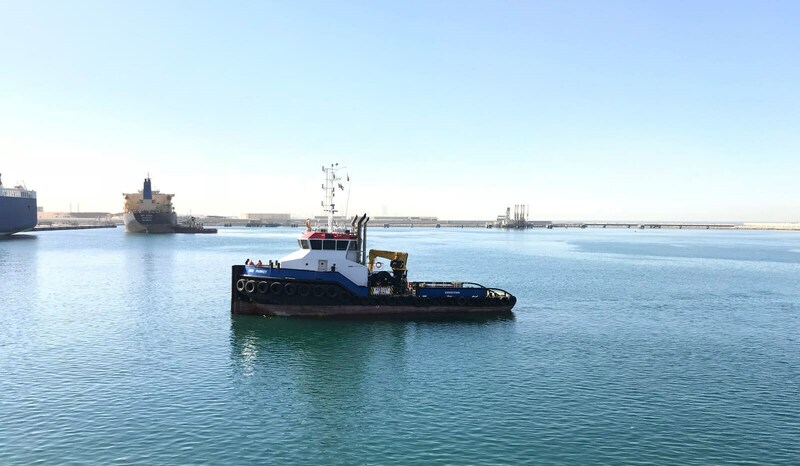 In December 2017 a new build Damen Stan Tug 1907, arrived as deck cargo at Hamriyah Port. 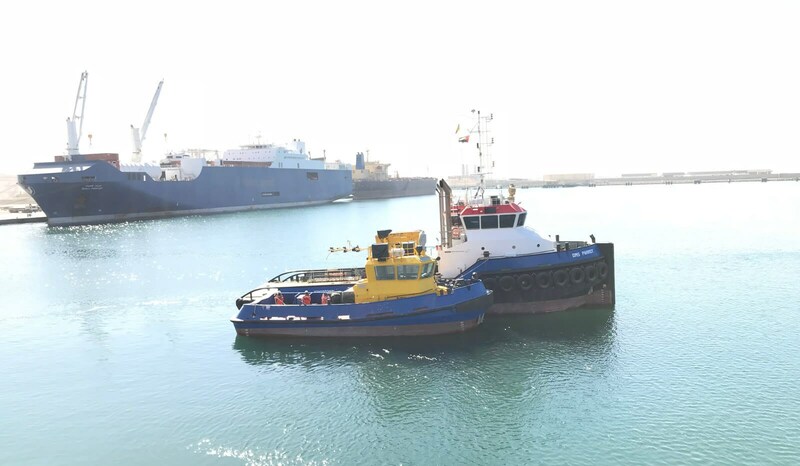 After offloading of the New Stan Tug 1907, our Damen Shoalbuster 3209 DMS Parrot assisted the new Stan Tug 1907 toward the Albwardy Damen Shipyard, which is located in the Inner Harbor of the Hamriyah Free Zone in Sharjah. Our multi-functional Shoalbuster was chosen by our customer Damen Deliveries because of her high maneuverability in shallow and narrow waterways. Find more shoalbusters for charter here.